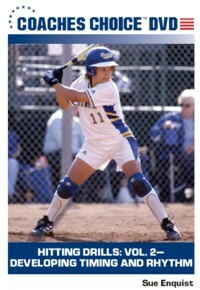 Having recently retired as the head softball coach of UCLA on Dec. 31st, 2006, Sue Enquist, leaves us a wealth of softball knowledge in this collection of 20 softball videos. 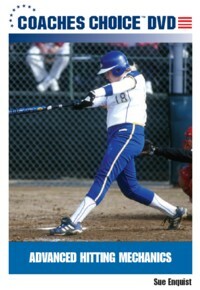 She concluded her coaching career with a mark of 887 wins, 175 losses, and 1 tie for a 83.5% winning percentage. 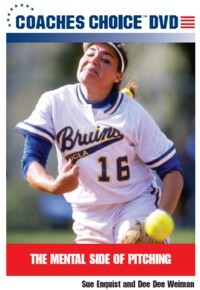 She ranks in the top-five on the NCAA's all-time winningest coaches by percentage and is in the top-20 all-time in wins (all divisions). 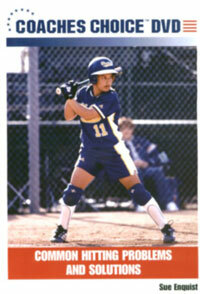 In December 2005, Coach Sue Enquist was inducted into the National Fastpitch Coaches Association Hall of Fame. 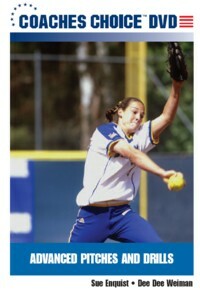 Do you want to learn softball from one of the best coaches? 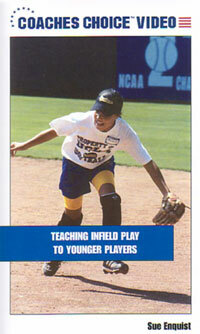 Click on any of the videos to learn more about hitting, pitching, catching, outfielding, defense, and how to coach younger kids. 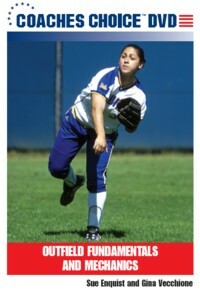 Many of the pages have special offers if you want to get all of the videos in a certain theme, or scroll all the way down this page for a very special offer if you're interested in having the most complete library of softball knowledge. 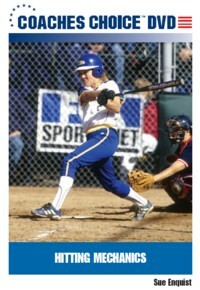 A .401 hitter in college herself and holder of the UCLA batting record for over 20 years, Sue Enquist has studied hitting and has a firm grasp on how to teach it to your hitters through 7 different videos. 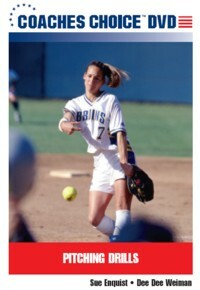 Some of the game's greatest pitchers, Lisa Fernandez, the only person to pitch for the winning team in an Olympic Gold Medal softball game, pitching the United States to Gold in the Atlanta (1996), Sydney (2000) and Athens (2004) Games, DeeDee Weiman, B'Ann Burns, Courtney Dale, Amanda Freed, Keira Goerl, and current UCLA junior Anjelica Selden, have all played for Coach Sue Enquist at UCLA. 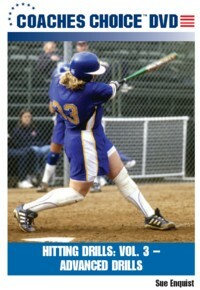 There are 4 videos that she created, 2 with DeeDee Weiman. 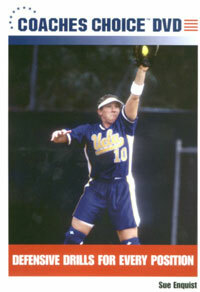 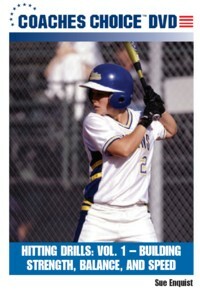 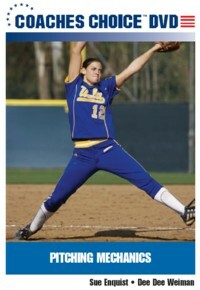 When it comes to teaching the position of catcher, one only has to realize that arguably the best catcher in NCAA softball history in two-time Olympic gold medalist and NCAA all-time home run champion Stacey Nuveman, was a UCLA bruin under Sue Enquist, as was the assistant coach, who has just risen up to take over the prestigious UCLA softball coaching position, Kelly Inouye-Perez, helped lead UCLA to the NCAA title game all four of her active seasons, starting at catcher for the 1989, 1990 and 1992 NCAA title teams. 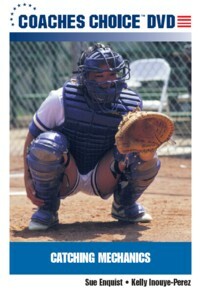 Coaches Sue Enquist and Inouye-Perez combine talents to teach in the 2 catching videos. 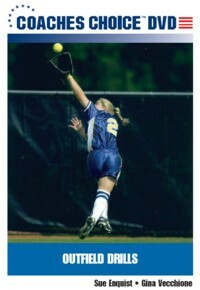 When it comes to defense Sue Enquist is know for having some of the best defensive teams, along with some of the best defensive players. 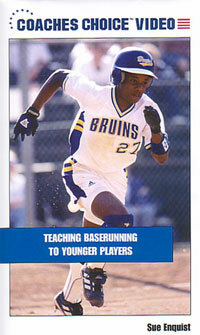 Players like Gold Medalist shortstop, Natasha Watley, and All-American Gina Vecchione, who's now an assistant for the UCLA team. 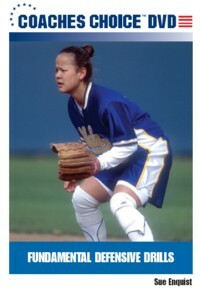 In fact, Coach Enquist was a centerfielder when UCLA won their first national championship behind one of my former pitchers, Jan (Jeffers) Lo. 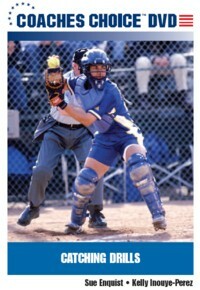 She has a passion for the game of softball and wants to share it with the next generation by passing on her knowledge of fastpitch softball through 3 specific videos directed to kids. 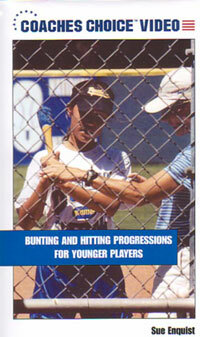 Sue Enquist has 7 hitting videos, 4 on pitching, 2 on catching, 2 on outfielding, etc, etc.